Milan makes money and Rome spends it? .:. A city that flourished thanks to the openness and flexibility of its work ethic cannot be a fanatical city. Milan still wants to expand and grow and ensure new jobs for all of its inhabitants. Even the two great bursts of ideology - both of which were inspired by the political left wing; the first in 1945, after WW2 and the city's liberation from German occupation, the second during the late 1960s and early 1970s - have had practical results which influenced its lifestyle by transforming rigid conformist norms and arousing a greater interest in international affairs. .:. 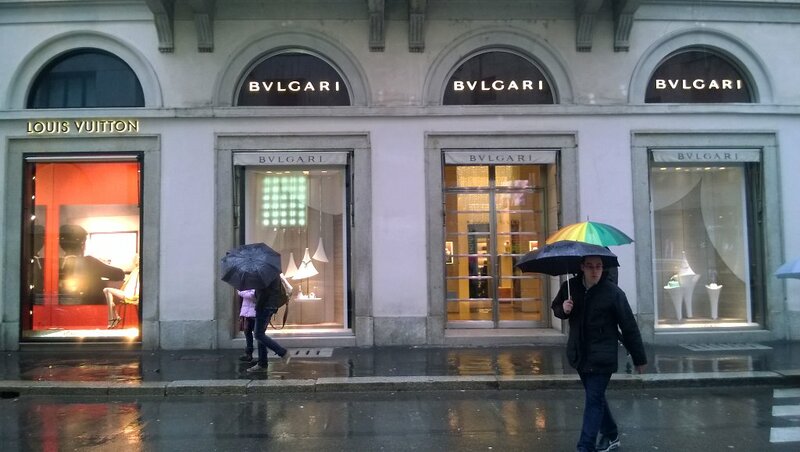 A tourist may feel that Milan is a cordial city, though rarely an expansive one. 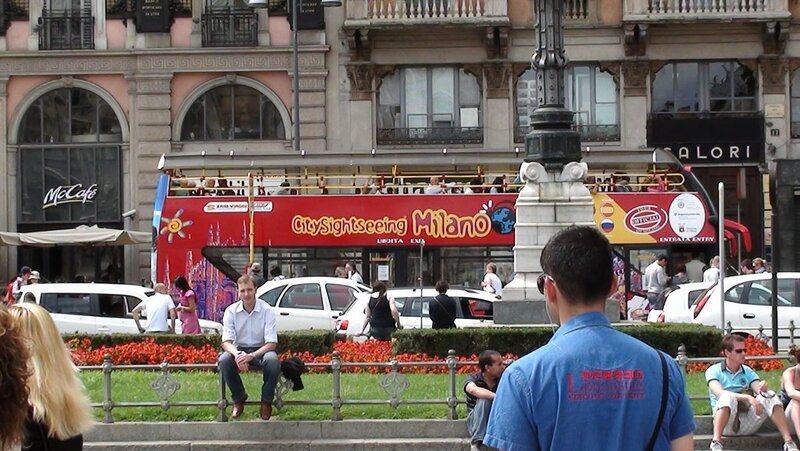 Milan appears well disposed to provide you with the information you need, also because the Milanese are proud enough of the public services rendered by local organizations and by the 'Comune', or Milan City Council. Its urban transport network, the City Police ('Polizia Municipale'), the La Scala Opera house and other public services are efficiently - well, on the whole efficiently - run by the city, no doubt more so than the centrally organized services, such as trains, mail, telephones, police, run from Rome. .:. The comparison reveals at once the one true antipathy of the Milanese: Rome! The current prejudice is that Milan makes money and that Rome spends it and, worse still, wastes it. It may be true that the mellow Roman life-style, the dolce vita allure of its street-side cafés, the carpe diem motto of the Romans, who never seem to lose their 'cool', inevitably clashes with the Milanese anxiety to produce and achieve, with this city's hurried rhythms and the practical matter-of-factness of the Milanese. .:. And this is, in a certain way, the seedbed of the city's third - and still erupting - burst of ideology since World War Two. For decades the Milanese have lived with the disheartening conviction that they pay taxes in return for inefficient services and a huge State deficit. But in the last few years their resentment has turned into irritation. In the 1980s they were dismayed at the growing phenomena of drug abuse and the protection racket (imported ills, new to the city). But now they know that organized crime is to blame - first and foremost, the Mafia, led by its 'traditional' Sicilian branch. The Milanese gradually became convinced that the country's politicians (considered complaisant with the Southerners) were unable or unwilling to solve these problems. .:. When this already explosive situation was heightened by the burdensome presence of immigrants (from the Third World and Eastern Europe) and by 1990–91 signs of a recession, the protests began to spread. Of course, this situation did not concern Milan alone. But it is confined to the North of Italy, where Milan has always led the way. It was actually not in Milan but first in Veneto and then in Brianza (the region to the north of the city) that the Lega (or 'League') movement saw the light of day. This controversial movement rallied the protesters to its flag and gave their cause a political framework. .:. It was also because of this climate of protest that the Mani pulite ('Clean Hands') investigations took off in Milan in 1992, led by now-famous public prosecutors like Francesco Saverio Borrelli, Antonio Di Pietro and Gherardo Colombo. Their work resulted in the incrimination of a whole corrupt ruling class and gave birth to what was considered a new period in the post-WW2 history of Italy. .:. This period, too, came to an end, leaving a Milanese tycoon, Silvio Berlusconi, in the temporary position to exploit his grip on Italian mass media in order to propose himself and his right-wing party, Forza Italia ('Let's Go, Italy') or later Popolo delle Libertà ('People of the Liberties'), as the supposed saviours of the country.